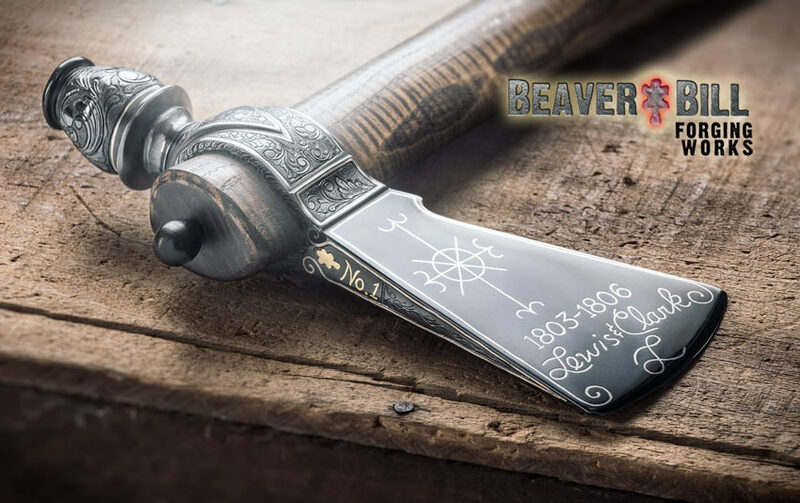 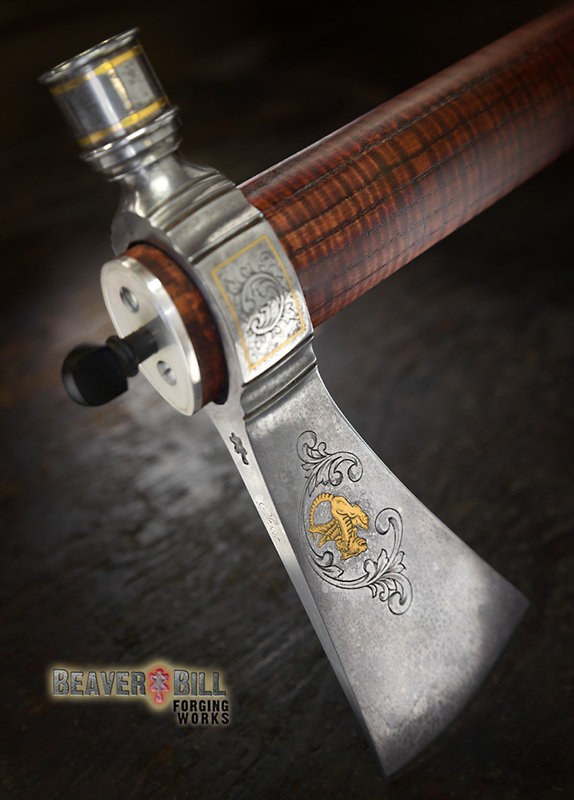 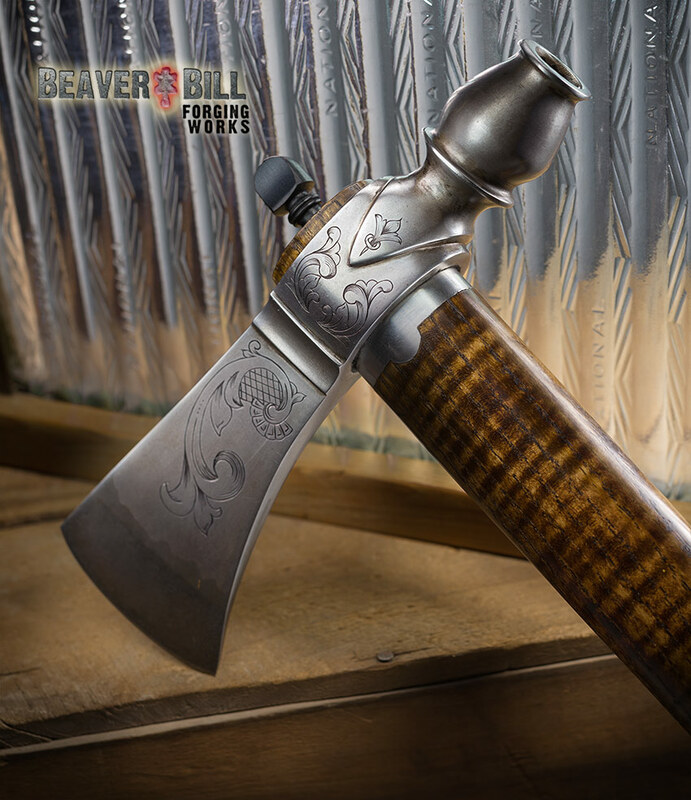 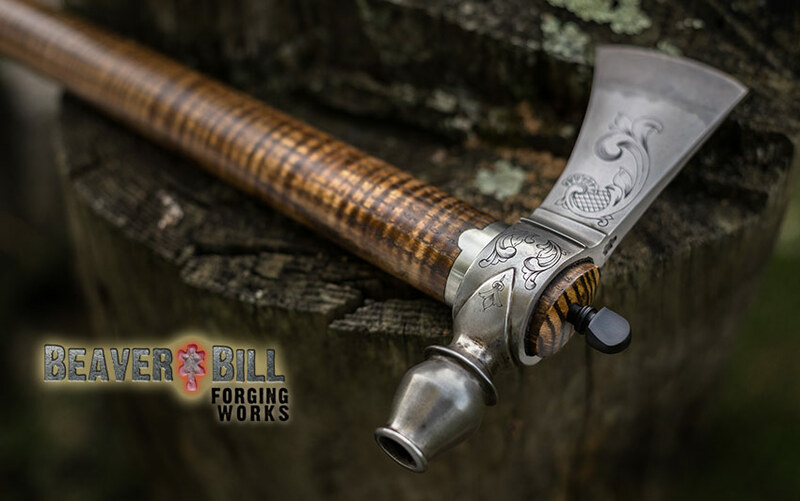 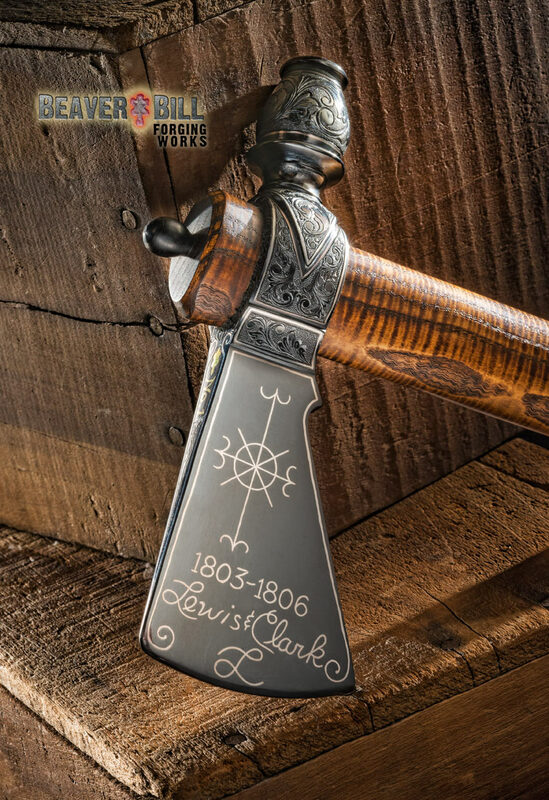 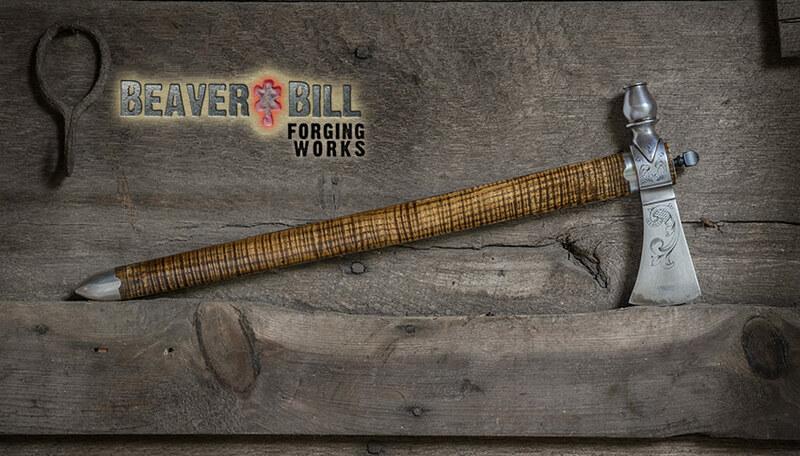 Beaver Bill Exclusive Presentation Pipe Tomahawks are all custom hand made with your preferences in mind. 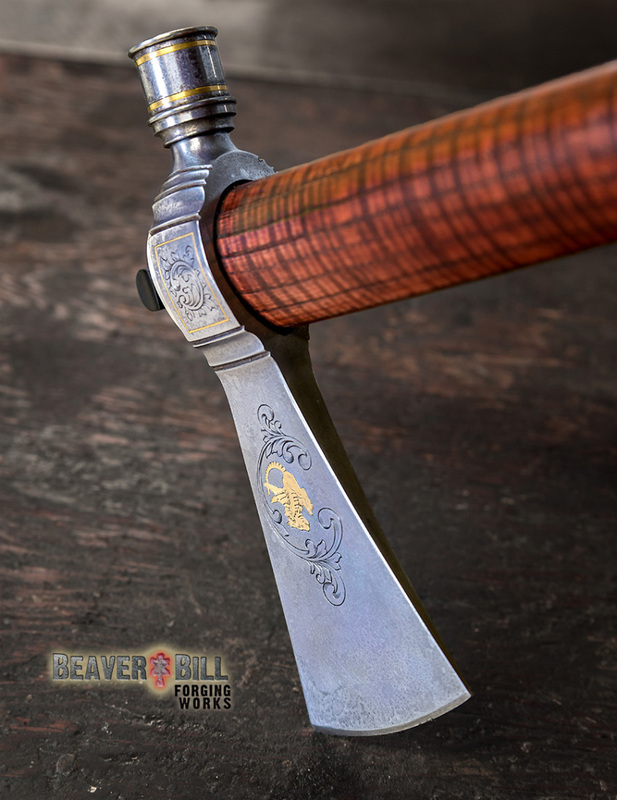 They are built to order and take a little longer due to the care and craftsmanship needed to create a beautiful museum quality Pipe Hawk. 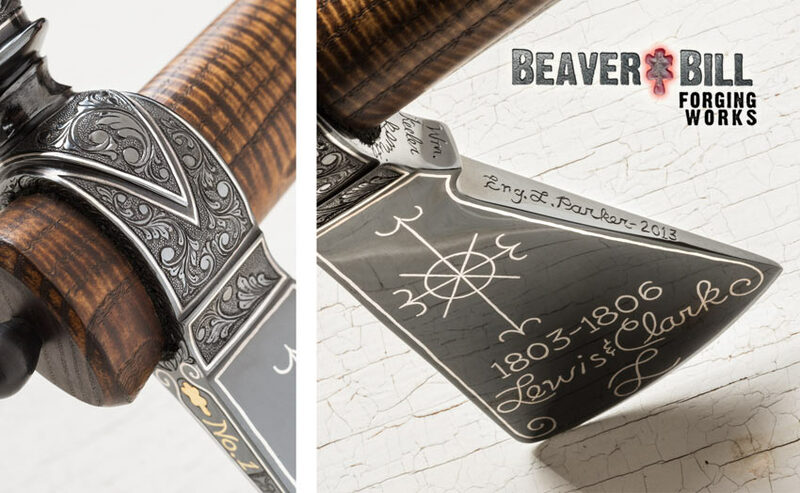 You will be proud to own one of these masterpieces. 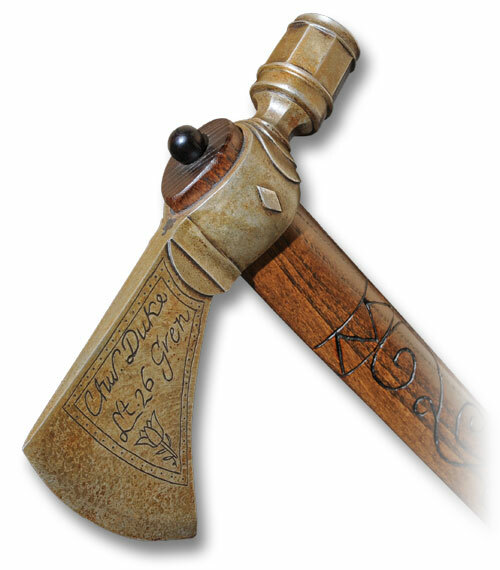 They are suitable to display or to use. 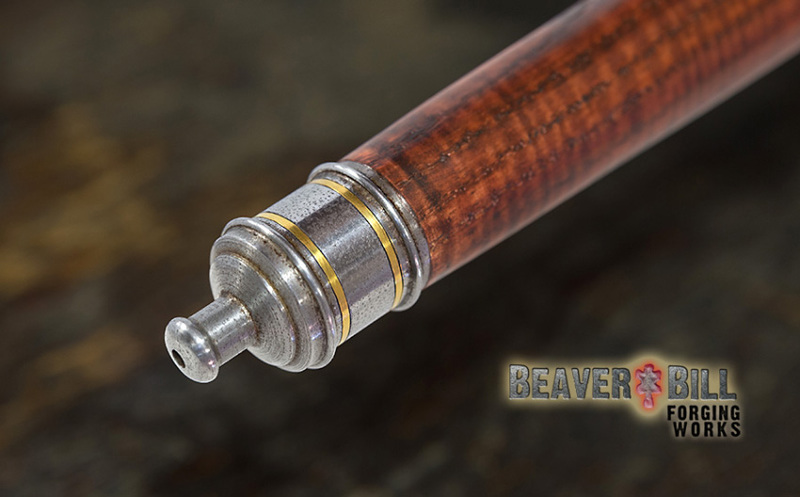 All Presentation Pipe Hawks can be customized with gold, silver, or ivory inlays, and capped ends. 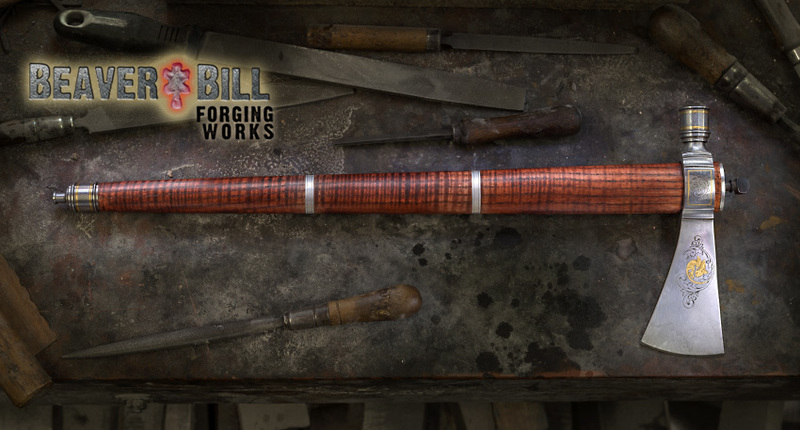 Call us and we can start work on yours right away. 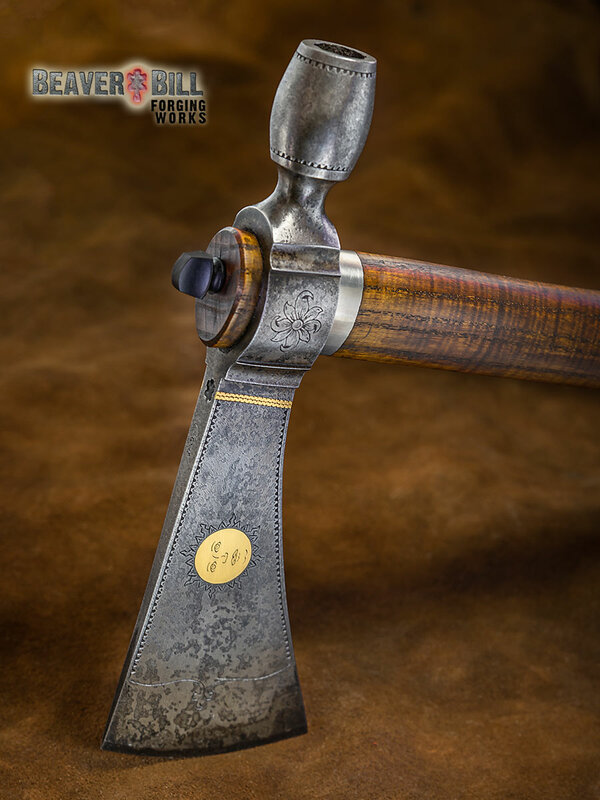 Prices for custom Presentation Tomahawks start at $1200. 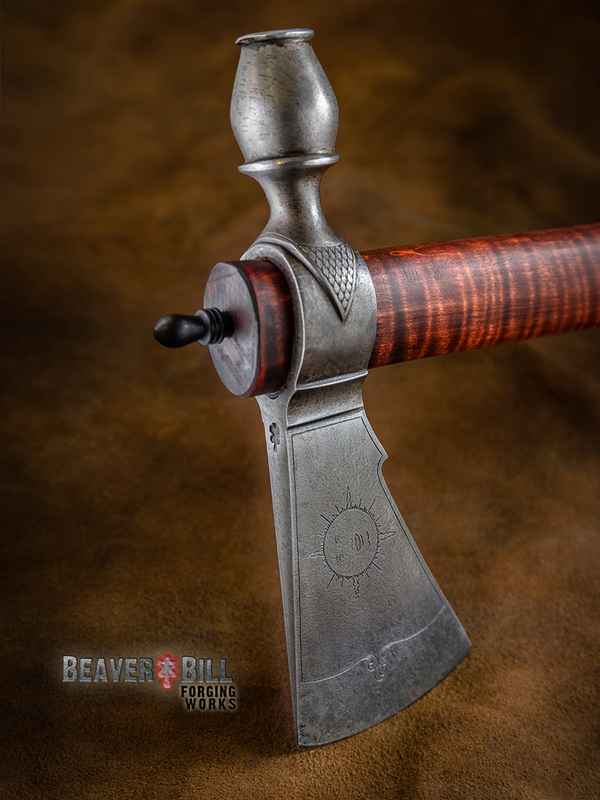 Below are recent samples of Presentation Hawks that have been hand crafted by Beaver Bill. 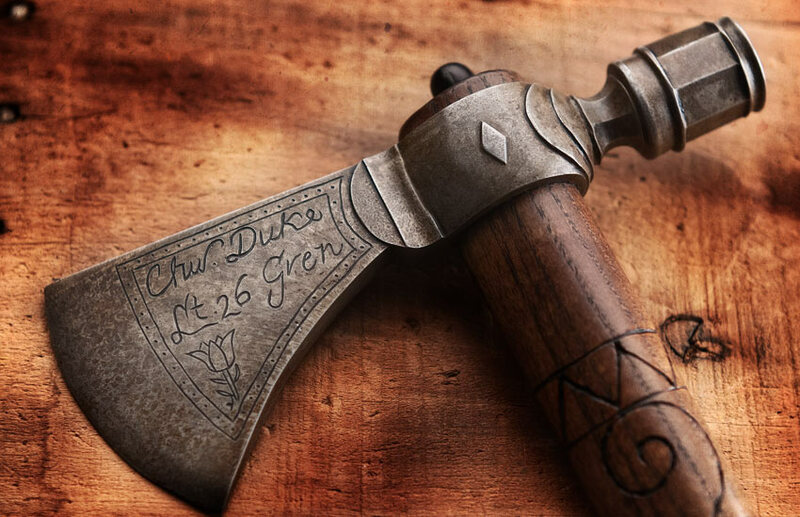 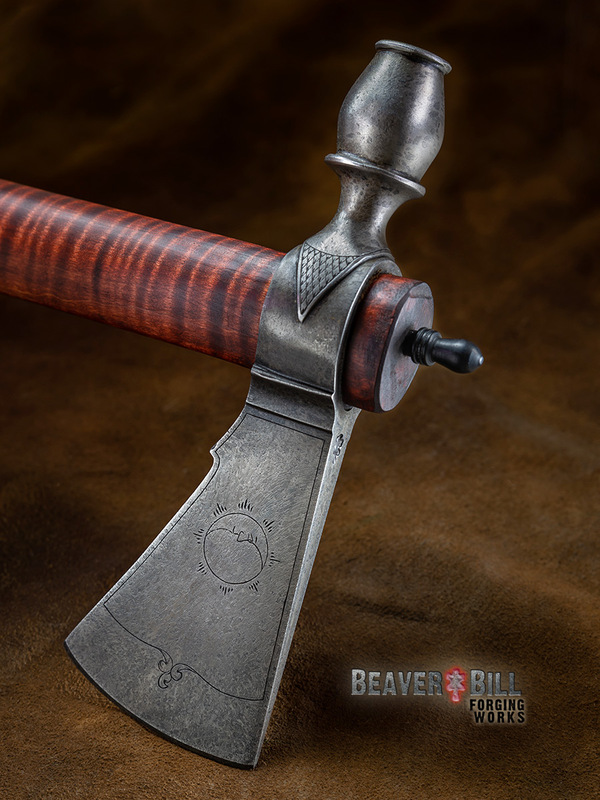 Another beautiful pipe-hawk forged by Beaver Bill and finished and engraved by Doug Stout. 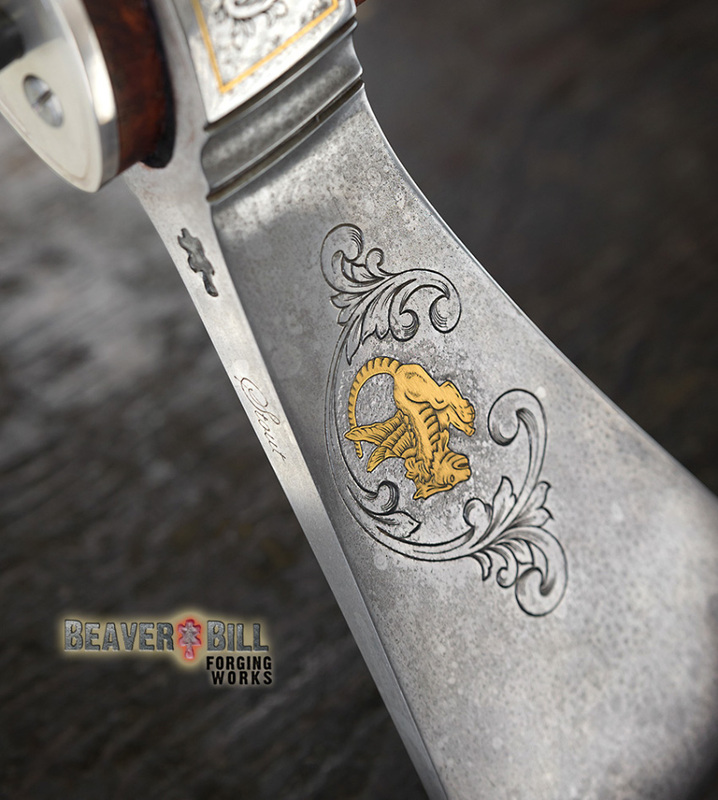 This features a gold sun inlay on one side and a silver moon on the other. 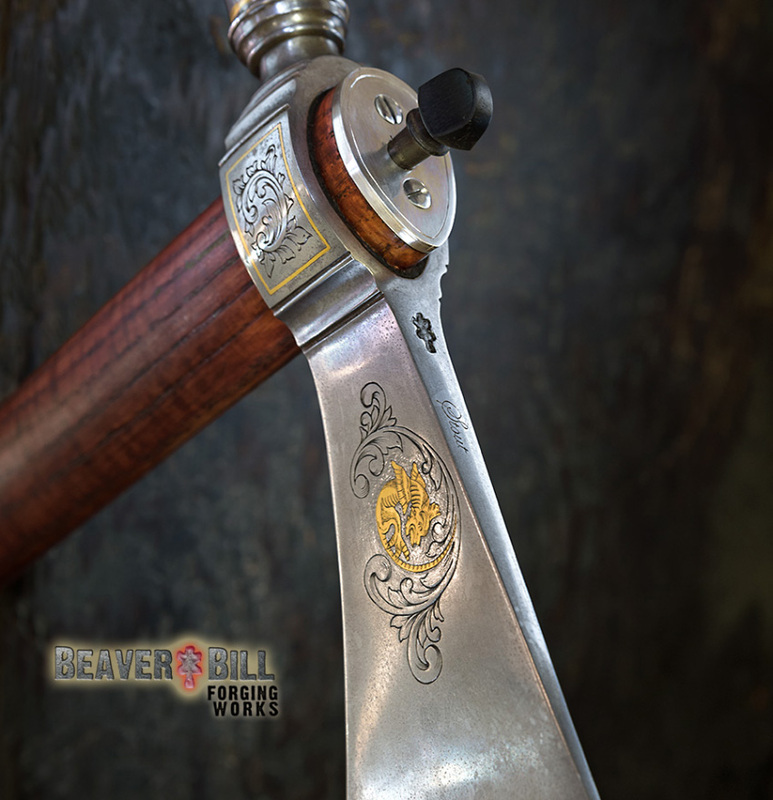 Another beautiful pipe-hawk forged by Beaver Bill and finished and engraved by Doug Stout. 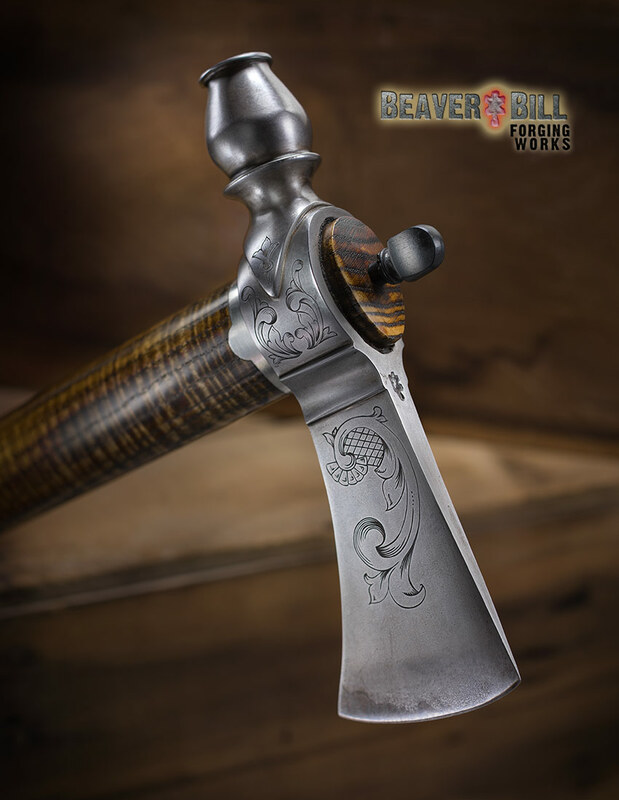 This museum quality piece was a collaboration between Beaver Bill and Master Engraver Larry A. Parker. 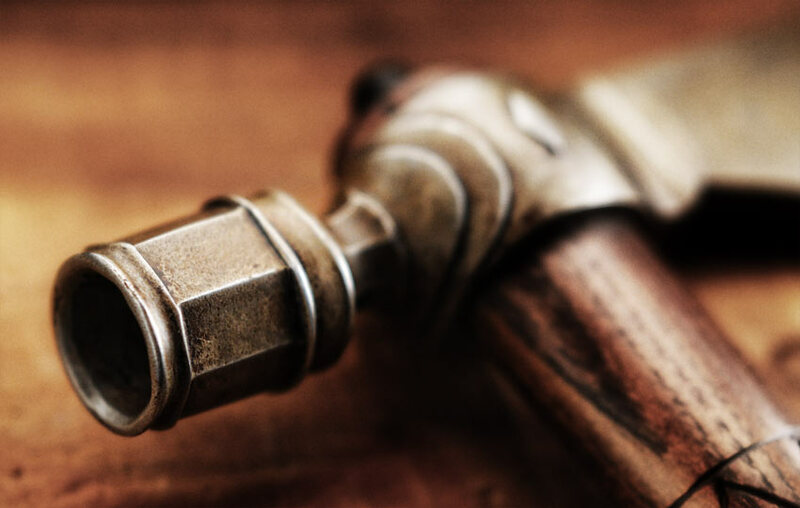 GO HERE to see an interview with Mr. Parker. 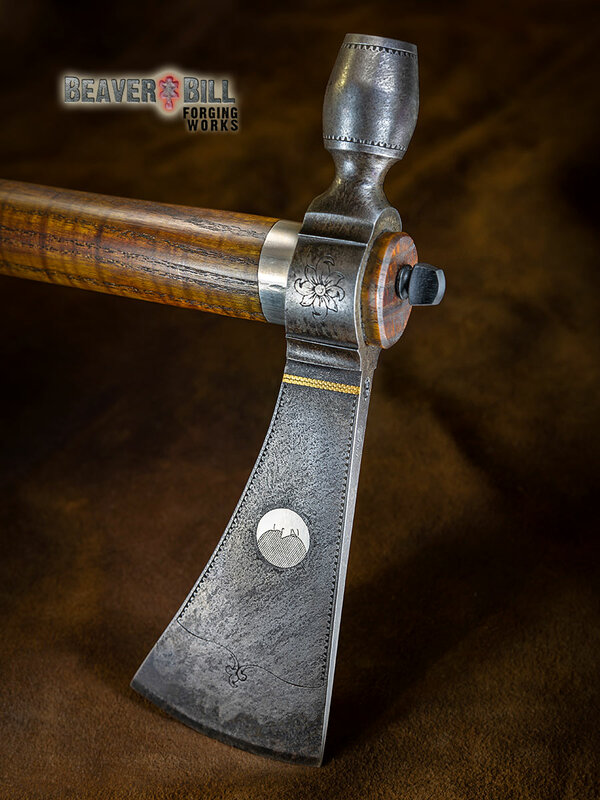 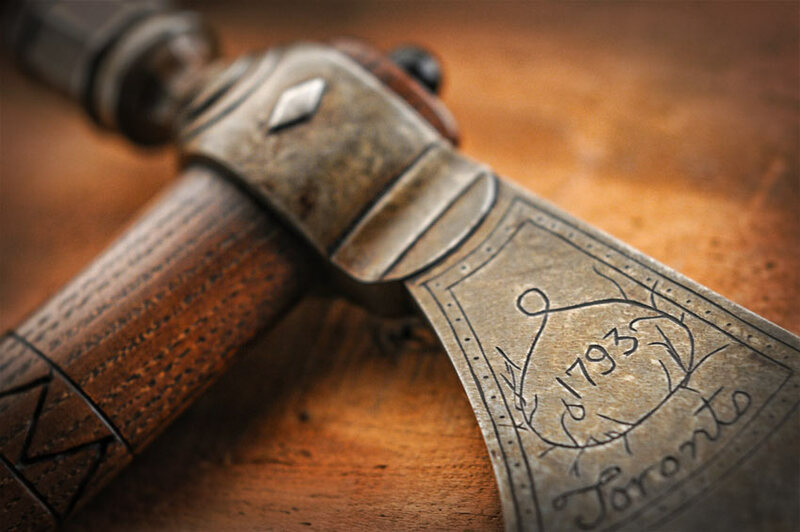 with engraved head and handle, aged and distressed head.